I am back with a new Technique Tuesday for you. Over the holiday, I compiled a list of several techniques and cards to show you so - hopefully - I will have something for you each Tuesday this year! Start by cutting your ribbon at 1" intervals up to but not all the way through the ribbon widthwise. 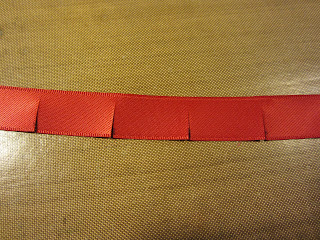 Leave about 1/8" as shown. Your ribbon will end up looking like this. Cut a circle from the Circle #2 die out of the Sticky Sheet and the cardstock. I used the second to smallest circle which is 1 1/2" wide. 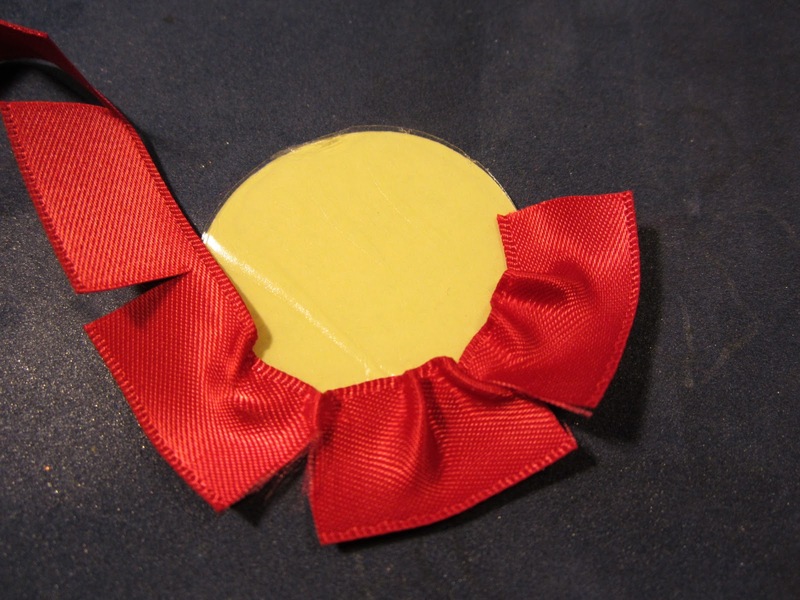 Remove one side of the sticky sheet circle and begin placing your ribbon around the circle starting at the outside, folding the ribbon to make a circle. 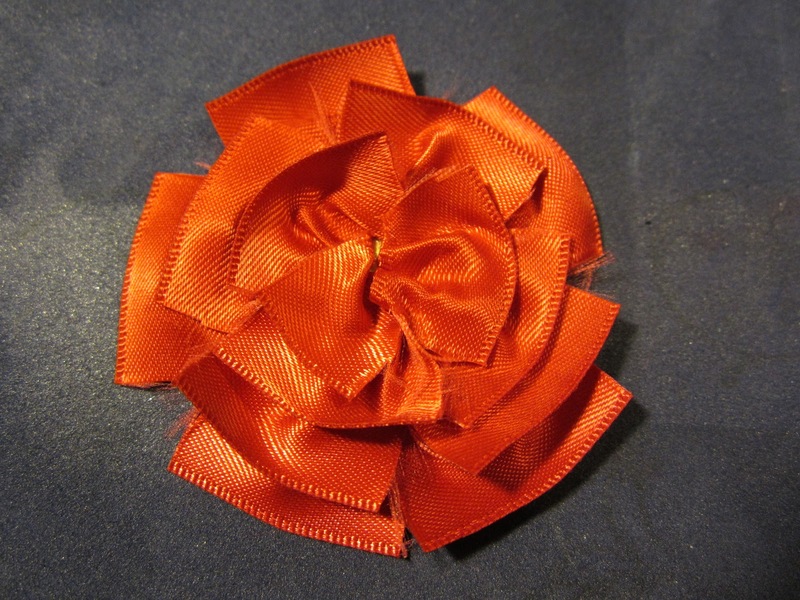 Continue moving inward with your ribbon. 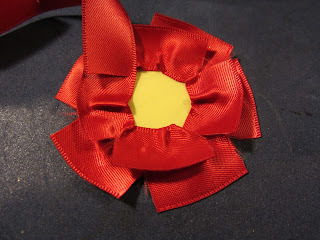 When you are finished, trim off any excess and your ribbon should look something like this. 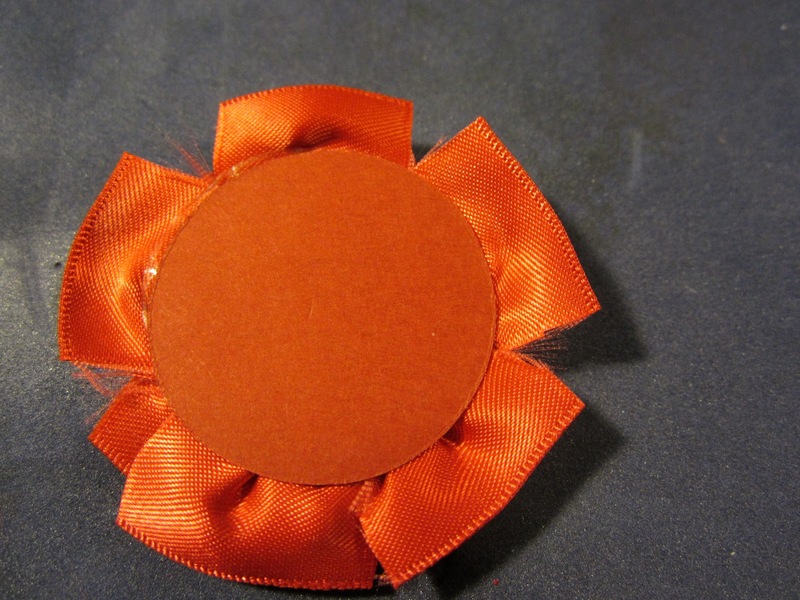 Remove the other side of the sticky sheet backing and place your cardstock circle on the sticky sheet. 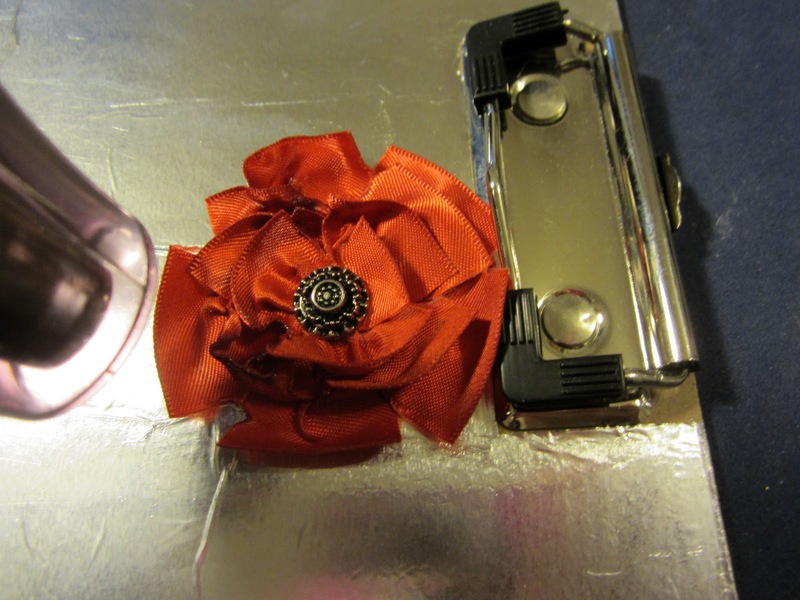 You will need to do this before heating your ribbon; otherwise, your flower will not stay round. Using your paper piercer, make a hole in the center and add your brad. You can do this step at the end but I found it worked better to place it before I began heating the ribbon. 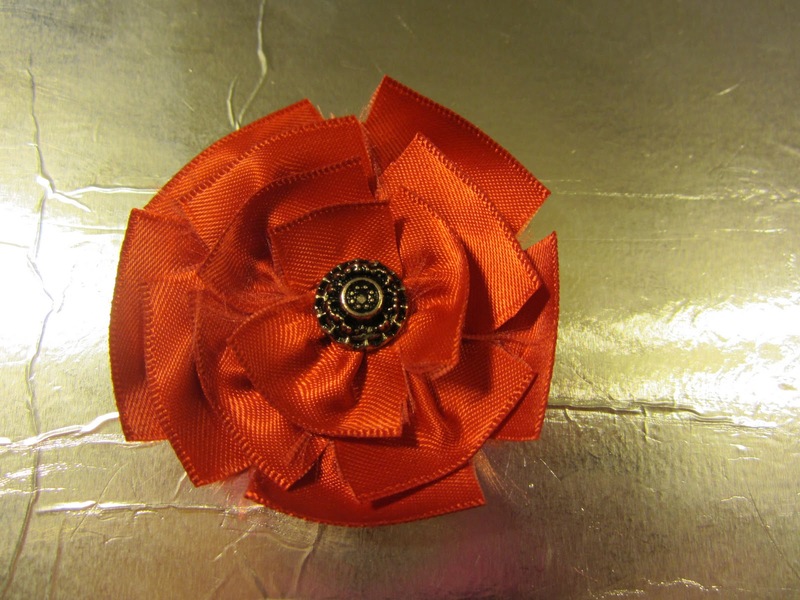 Beginning at the outside of the flower, begin heating the edges until they melt and fold up a bit. 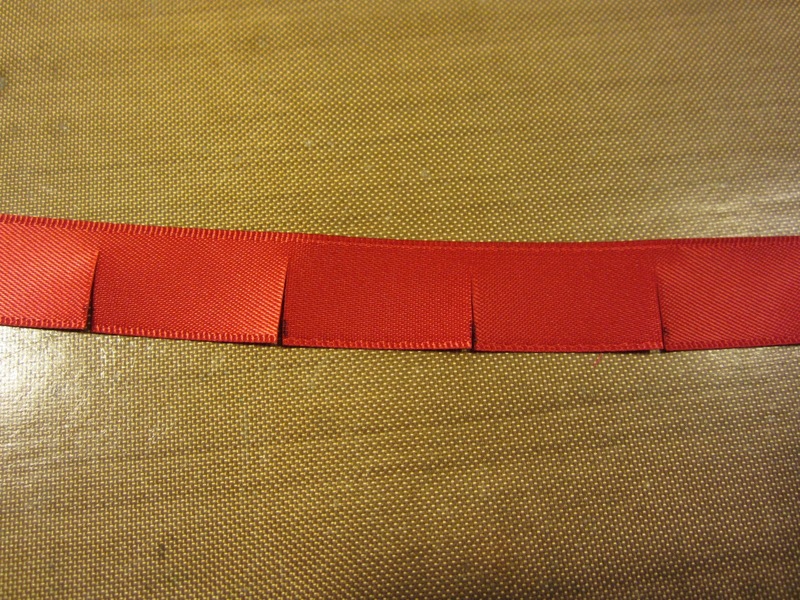 Continue to move around the outside of the ribbon until the entire outside is melted and folded up. 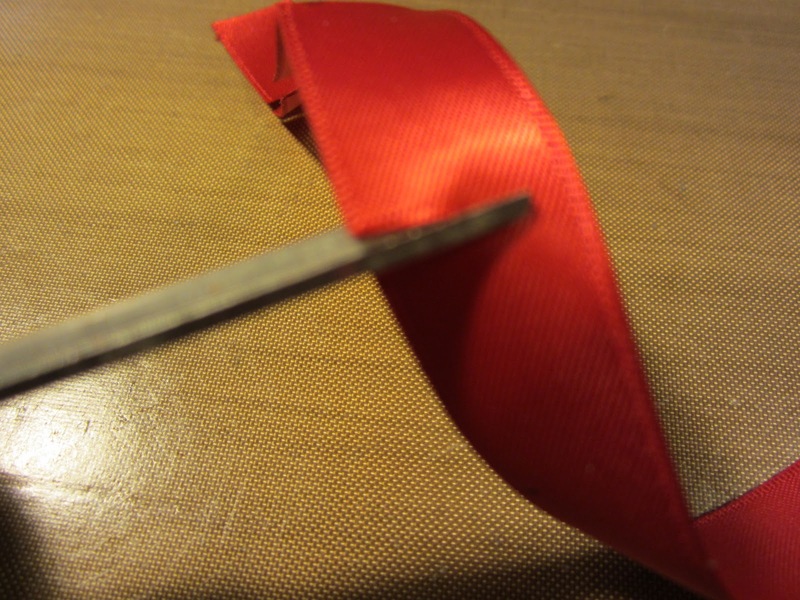 Then begin to move inward and melt the other portions of the ribbon. 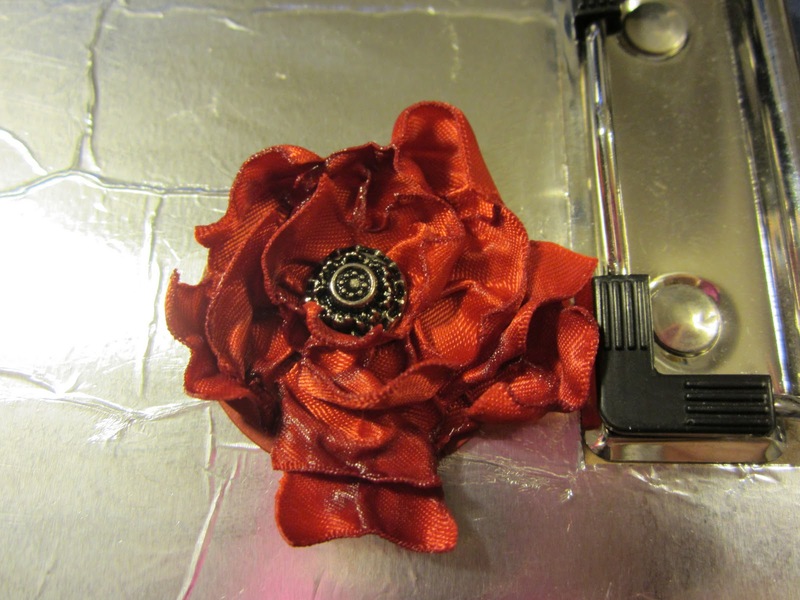 As you can see in my example, one portion of the outside didn't fold up much and isn't round. Just return to that area and heat it some more. 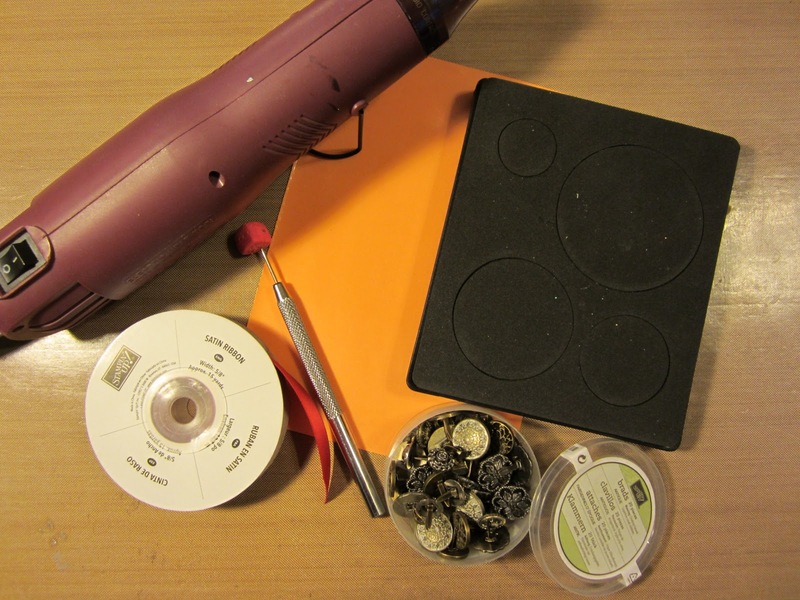 You can use your paper piercer to guide the melting process as well. 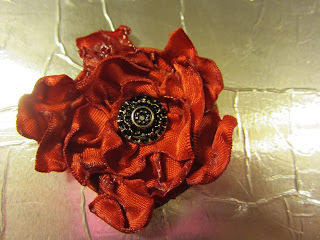 Here's the card that I made using the flower which I think turned out beautifully. 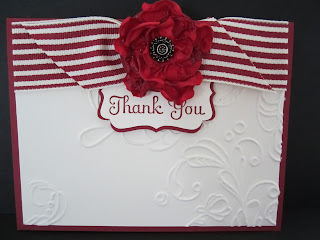 Thank you to Dawn Olchefske for showing me this technique. For this card, I used Cherry Cobbler cardstock and the 1 1/4" Cherry Cobbler Striped Grosgrain Ribbon. 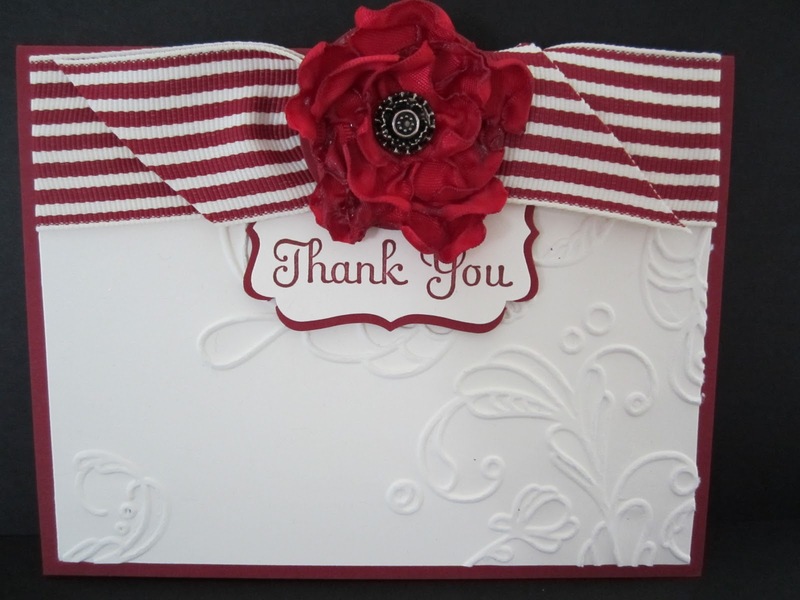 The embossing folder is the Elegant Lines folder and the sentiment comes from the Thank You Kindly stamp set. Note: I did not tie a knot in the ribbon as that would add too much bulk with the flower. Just lay them next to each other and use a bunch of glue dots to hold it in place!